Encouraging the curiosity of an explorer and the creativity of an innovator in each of our students. Support Our School Where You Shop!!! 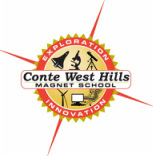 A school for Exploration and Innovation; uses the resources of our school and community members to offer a challenging, integrated curriculum that inspires students to become active, independent learners on their academic and social journey toward excellence.